With his Grammy-nominated debut album American Teen having been certified double Platinum and his new record Free Spirit finally out in the world, there’s no better time for fans down under to experience the El Paso singer’s magic. Fresh off the back of winning a Brit Award for ‘British Artist Video of the Year’ for ‘Woman Like Me’, and two Global Awards for ‘Best Group’ and ‘Best Song’; pop superstars Little Mix are brining their ‘LM5 – The Tour’ to Australian in 2019. Legendary, GRAMMY-award winning band Fleetwood Mac have announced an Australian tour which will feature the new line-up of Mick Fleetwood, John McVie, Stevie Nicks, and Christine McVie along with newcomers Mike Campbell and Neil Finn. 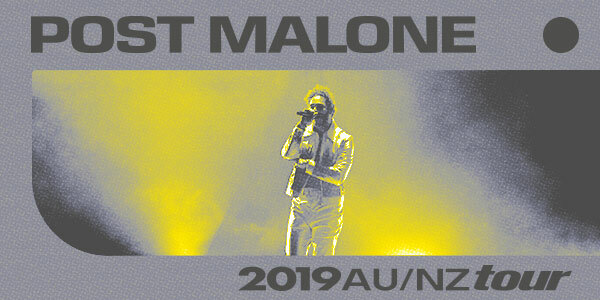 Post Malone is gearing up to give Australian audiences the time of their lives when they get the chance to catch their beloved ‘Posty’ live on stage. The history-making, multi-platinum megastar has confirmed an additional show in both Melbourne and Sydney, taking his 2019 Australian tour up to a total of 10 arena shows!